There are plenty of solid matchups this Saturday at UFC 165, but according to the Gambling Gods, none of them will be close. 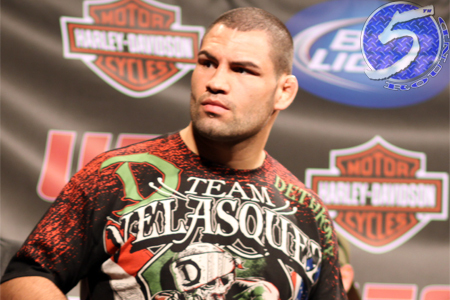 Of the show’s featured fights, the main event between heavyweight champion Cain Velasquez (pictured) and Junior dos Santos offers the most competitive betting line. However, Velasquez is still more than a 2-1 odds-on favorite to retain his title and take the lead in their trilogy. Dos Santos, meanwhile, checks in as a -180 underdog in the rubber match. Additionally, while many pundits are most excited to watch the lightweight shootout between Gilbert Melendez and Diego Sanchez, Melendez is a 7-1 favorite to collect his first UFC victory. Toyota Center in Houston, Texas serves as host.